Today’s Guest: Cartoonist Batton Lash, creator of Supernatural Law comics and the author of The Punisher Meets Archie. Watch this exclusive Mr. Media interview with cartoonist Batton Lash, creator of Supernatural Law comics and the author of The Punisher Meets Archie, by clicking on the video player above! 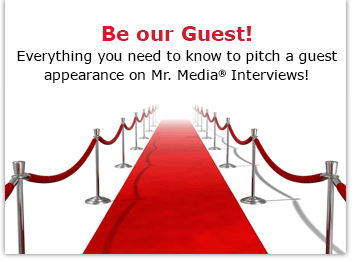 Mr. Media is recorded live before a studio audience full of vampires, werewolves and monsters-in-waiting all seeking legal representation … in the NEW new media capital of the world… St. Petersburg, Florida! Order ‘Supernatural Law’ and ‘Wolff & Byrd: Counselors of the Macabre’ by Batton Lash, available from Amazon.com by clicking on the comic book cover above! (UPDATE: Batton Lash died on brain cancer on January 12, 2019. He was a kind and gentle soul and will be missed by all who knew him. — Bob Andelman) Whether you’re an art student or a comics fan, you’ve probably heard the name “Will Eisner” at some point. Eisner, whose best-known comics creation, “The Spirit” celebrates its 75th anniversary this year, died a decade ago but his influence is felt as much or moreso today than ever before. 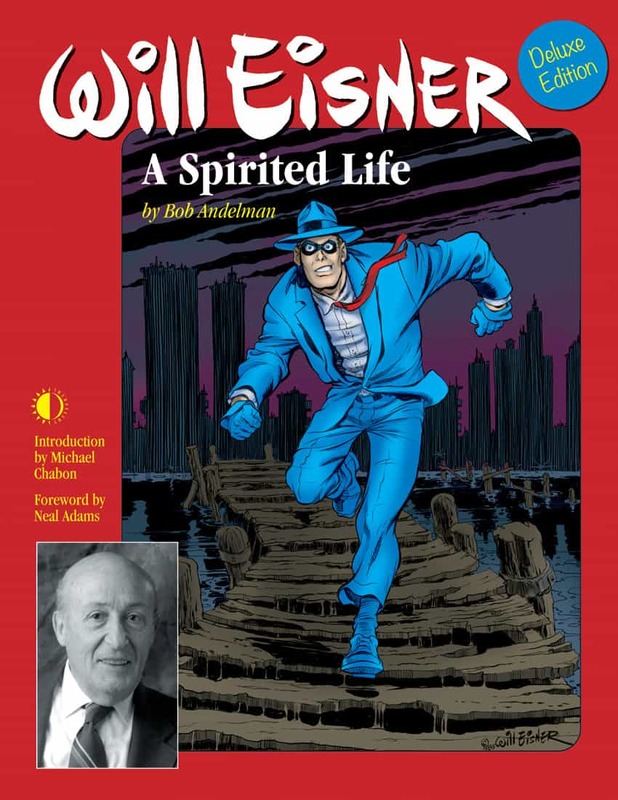 In celebration of Will Eisner Week (#WillEisnerWeek), a worldwide celebration of the artist and writer’s work held annually from March 1-7, I wanted to do a special show recognizing Eisner’s life and work. Helping me do this today is cartoonist Batton Lash, who was among Eisner’s very first students at Manhattan’s School of Visual Arts in the mid-1970s. Lash, best known for his comic book Supernatural Law, which began life as a comic strip called “Wolff & Byrd, Counselors of the Macabre” in the pages of The National Law Journal, was a favorite of Eisner’s… but not because he thought the young man would ever amount to anything as an artist! We’ll talk about that. What was it like to be in Eisner’s class, learning directly from a master of the comic arts? We’ll talk about that, too, as well as Lash’s time studying under the great Harvey Kurtzman and being Howard Chaykin’s assistant. Incidentally, Lash has another long-running tie to the Eisner name: his wife, Jackie Estrada, is the administrator of the prestigious Will Eisner Comic Industry Awards – the Emmys, Oscars and Tonys of comics – given out annually at Comic-Con International in San Diego. I first interviewed Batton about a dozen years ago for my biography of Eisner, Will Eisner: A Spirited Life, which will be published in a new deluxe, illustrated second edition in April. You can pre-order it now at Amazon.com or any Barnes & Noble store. If you love art and comics in particular, you won’t want to miss this interview, which will include a drawing demonstration by Batton. And did I mention Batton Lash is also the man behind the classic comic book The Punisher Meets Archie? Order ‘The Soddyssey and Other Tales of Supernatural Law’ by Batton Lash, available from Amazon.com by clicking on the comic book cover above! Batton’s discussion on Eisner, Kurtzman and his own impressive career was compelling, thoughtful, humorous and fascinating.